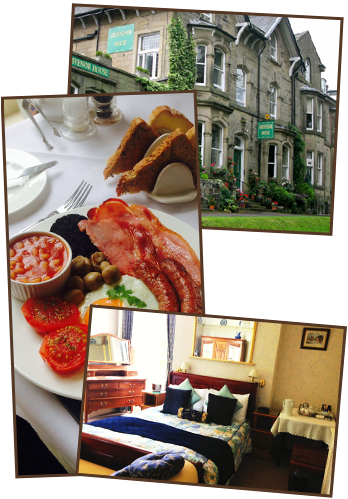 We offer thoughtfully decorated en-suite rooms and an award winning breakfast in a quiet, central Buxton location within two minutes walk of the Pavilion, Opera House, the Buxton campus, restaurants, pubs and the town centre. A stair lift to the first floor is available, and parking and breakfasts are included in your price. A stay in Buxton puts you in the heart of the Peak District with access to some of the finest historic houses, picturesque villages and walking in the Dales and Pennines. We have been recently featued on a BBC comedy drama.